We have carved out a position in trading and supplying a superb range of Clip-On Roofing System. Procured from the trustworthy and approved vendors of the market, the offered system facilitates easy usage of the material using a single sheet. Owing to features such as dimensional accuracy, highly resistant to corrosion & abrasion and durability, the offered system is in great demand across the nation. In addition, our offered system facilitates easy manual installation. 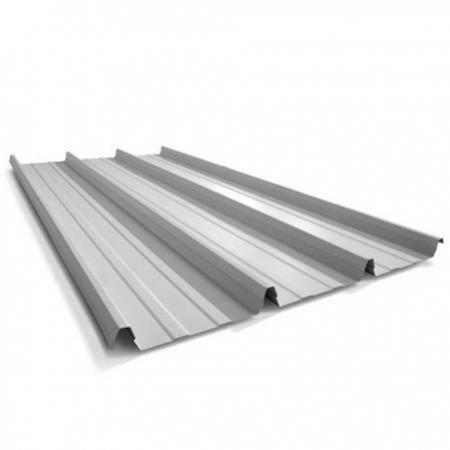 We are the leading Trader and Supplier of high quality Galvanized Sheets and Roofing Systems. The products we are offering are highly appreciated for their corrosion resistant finish, high tensile strength and water & chemical resistance.